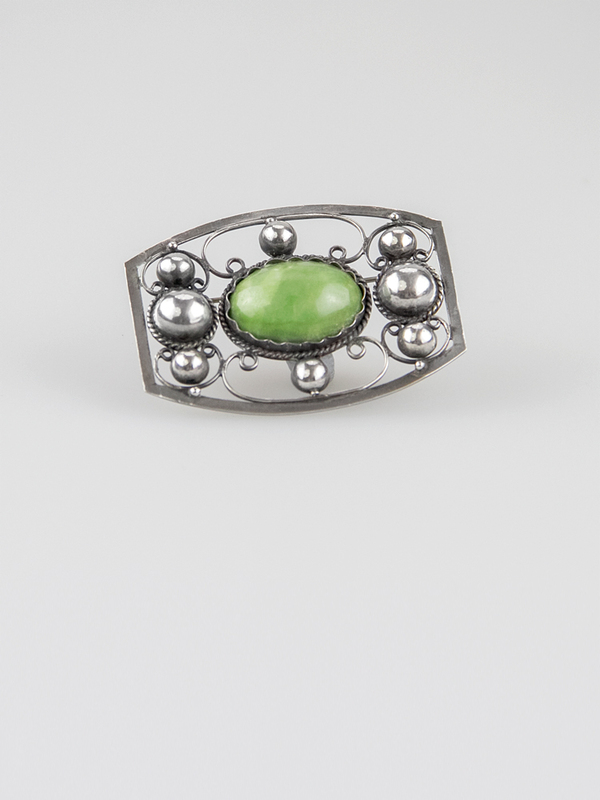 Stunning, ornate Mexican sterling silver brooch. 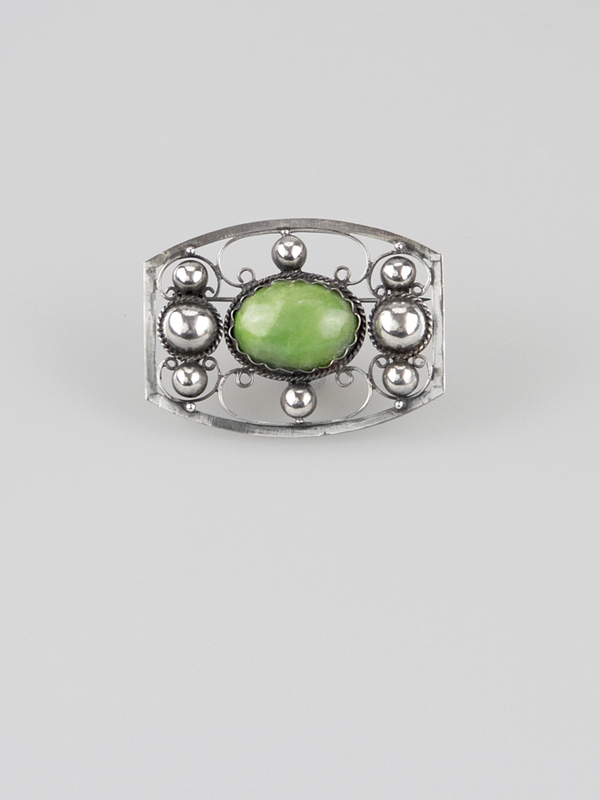 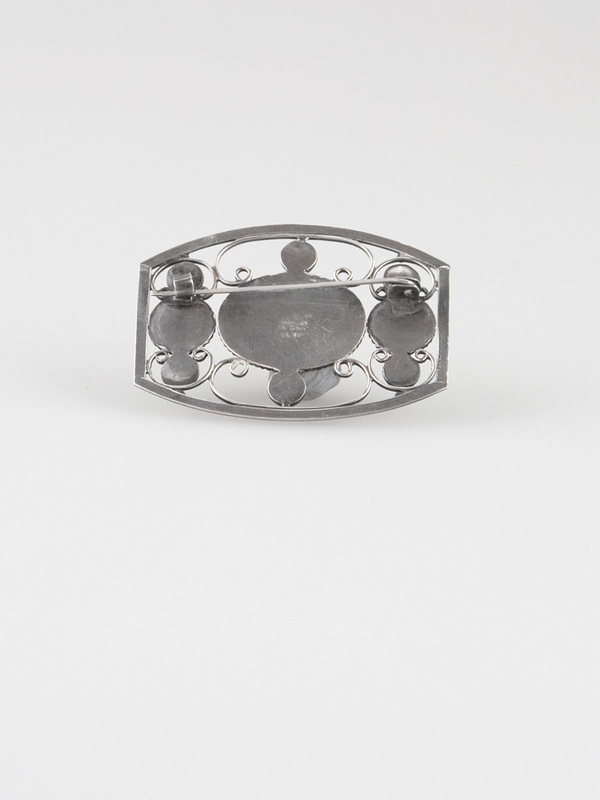 Hand crafted, circa 1940s, it has a nouveau feel with a curled motif and repoussé domes at either end, the centre piece is a soft sage green jasper stone. 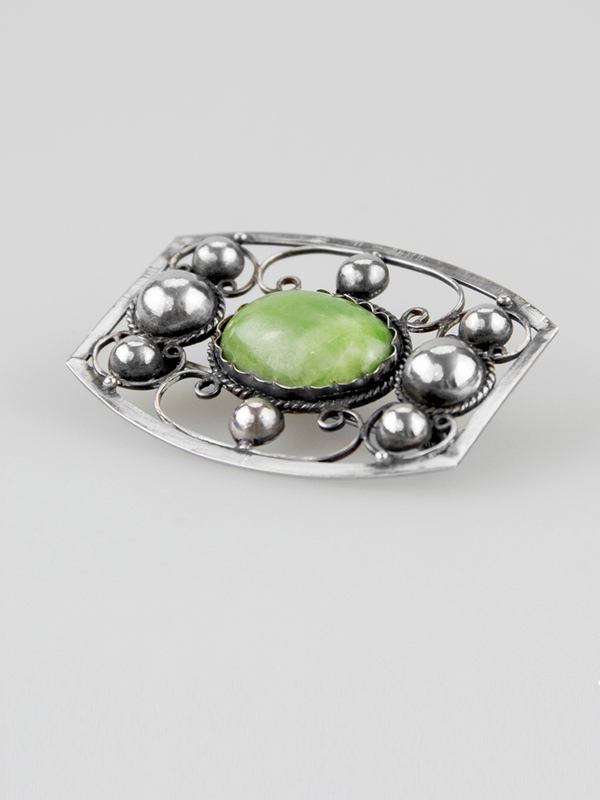 Simple 'c' clasp on the back - nice weight to it, this is a large and elegant vintage brooch.